Richard Yuhasz, age 79, of Fostoria, went home to the Lord with his family at his side on March 29, 2019 after a short battle with pancreatic cancer. Richard was born in Lincoln Park, MI. on August 23, 1939 to Paul Joseph and Adeline (Marchetti) Yuhasz. He was the second of four children. He graduated from Taylor High School. On January 23, 1962, he married the love of his life, Nancy Whiting , after hearing her sing, thinking she was an angel. The marriage took place at the Immaculate Conception Church in Lapeer. Once they started their family, he continued his education and 11 years later graduated from the University of Michigan. 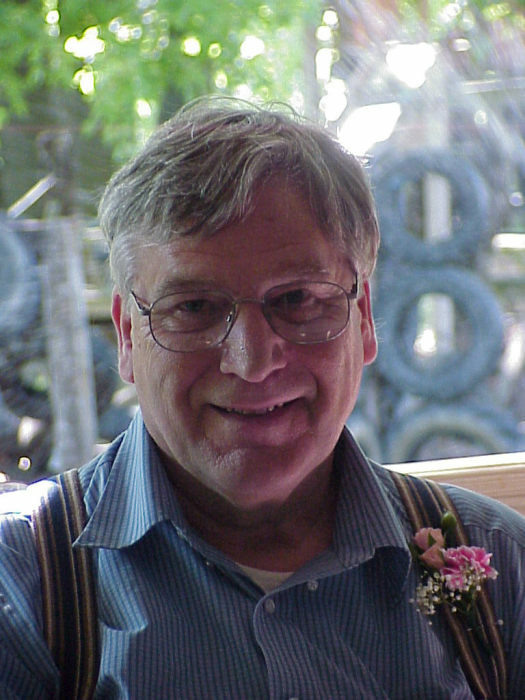 Richard retired from the Federal Government where he worked as a programmer analyst. Richard enjoyed spending time with his family, gardening, farming and music. His daughters and grandchildren were his pride and joy. Richard loved his grandchildren so much. He had such a giving heart in helping and supporting them in so many ways. Richard is survived by his loving wife of 57 years, Nancy; his daughters, Mary (Ron Pratt) Yuhasz-Pratt and Katherine Ann (Ron) Zender; his grandchildren, Jon (Charlie Williams) YuhaszPratt, Megan YuhaszPratt, Carmen, Autumn, David and Kevin Zender; his sister Sister Marie Joy Yuhasz, OP,; his brother Don (Charlotte) Yuhasz and by several nieces, nephews and special friends. Richard was preceded in death by two infant sons, David and Michael; by his parents; by his brother Robert Yuhasz, and by sister-in-law Beatrice Yuhasz. Memorials may be made to the American Cancer Society or the McLaren Hospitality House. The family will be present for visitation on Wednesday, April 3, 2019 from 4:00-8:00 P.M. at Blackburn Chapel-Martin Funeral Home. On Thursday, April 4, 2019, Richard will lie in state from 11:00 A.M.-12:00 P.M. at St John the Evangelist Catholic Church, 404 North Dayton St., Davison. Richard's Mass of Christian Burial will follow at 12:00 P.M. with Father Andrew Czajkowsi officiating. Burial will be at West Deerfield Cemetery.